The 24" x 50' Photo HighGloss Premium RC Archival Inkjet PaperRoll from Canson Infinity is an ultra-smooth, alpha-cellulose, acid-free paper. The paper is coated with polyethylene and multiple microporous color receiver layers to maximize color absorption. Photo High Gloss Premium RC offers a high Dmax and a wide color gamut as well as a high gloss level. 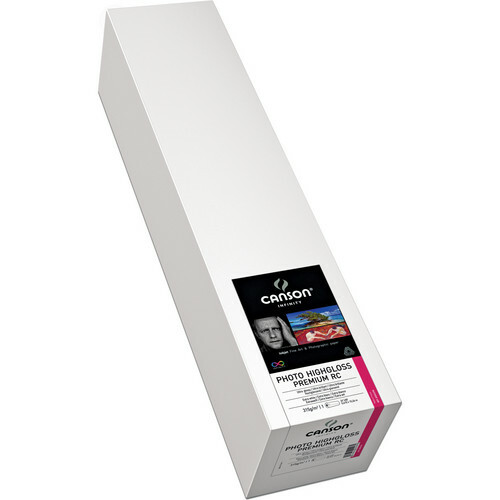 The paper yields prints with vivid color and deep blacks and is designed for resolutions up to 5760 dpi. Box Dimensions (LxWxH) 26.3 x 6.9 x 6.9"